Number is that property of a noun which distinguishes one from more than one. The singular number denotes one; as, apple, flower, boy, girl. The plural number denotes more than one; as, apples, flowers, boys, girls. Nouns whose last sound will unite with the sound represented by s, form their plurals by adding s only to the singular. Nouns whose last sound will not unite with the sound represented by s, form their plurals by adding es to the singular. Nouns ending in y preceded by a consonant, change y into i, and add es. Most nouns ending in f change f to v, and add es; those ending in fe; change f to v, and add s.
a. Most nouns ending in o preceded by a consonant, add es. b. Nouns ending in o preceded by a vowel, add s.
Some nouns form their plurals irregularly. Letters, figures, marks, and signs add ’s. a. In compound words, the part which is described by the rest is generally pluralized. b. Compound words from foreign languages form their plurals according to rules 1 and 2 above. c. Some compound words have both parts made plural. d. Compound terms composed of a proper noun and a title, may be pluralized by adding a plural termination to either the name or the title, but not to both. When the title is preceded by a numeral, the name is always made plural. 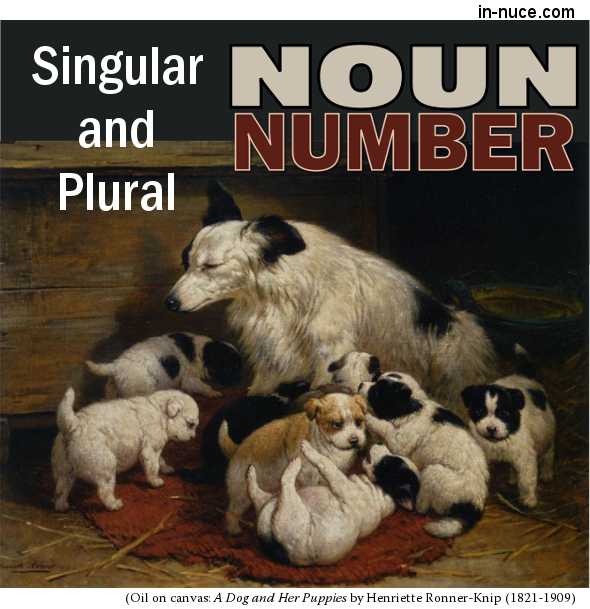 Some nouns have two plurals, but with a difference in meaning. Proper nouns, and words generally used as other parts of speech, are changed as little as possible, and usually add s only in forming their plurals. Many nouns from foreign languages retain their original plurals, changing us to i; um and on to a; is to es or ides; a to æ or ata; and x or ex to ces or ices. b. When different kinds of the same substance are referred to, a plural form may be used. b. News and molasses have the plural form, but are regarded as singular. c. Lungs, bowels, and a few others, have a singular form denoting a part of the whole. d. Some nouns have no singular forms, but are singular or plural in meaning. Some nouns are alike in the two numbers.